We’re excited to launch a fun range of greeting cards illustrated by the talented Elliot Huang! Elliot is an illustrator from Adelaide who loves traditional and digital media, and uses a mix of both in her work. She also likes to incorporate little stories with her illustrations where she can. Elliot teamed up with Noteworthy Cards because she loves to contribute to positive change in the world, especially when she can do it while creatively expressing herself! 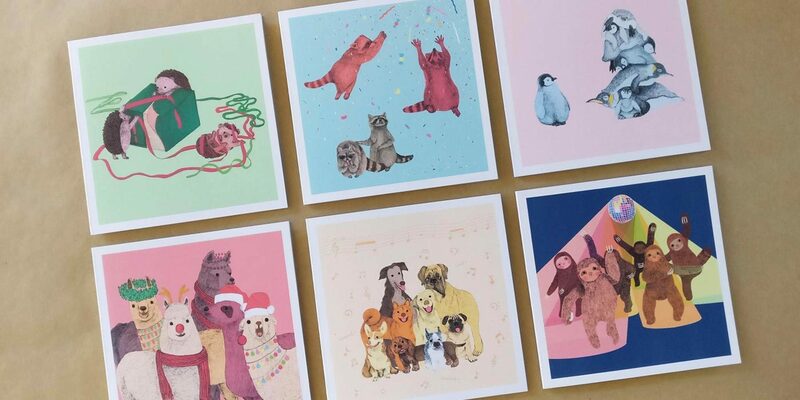 The Huang Collection is a cute and colourful range of illustrated animal cards that are suitable for celebrations and Christmas greetings. The cards are environmentally friendly: 100% recycled, certified FSC® Recycled, manufactured carbon neutral, produced by an ISO 14001 certified mill, and recycled without chlorine bleaching.